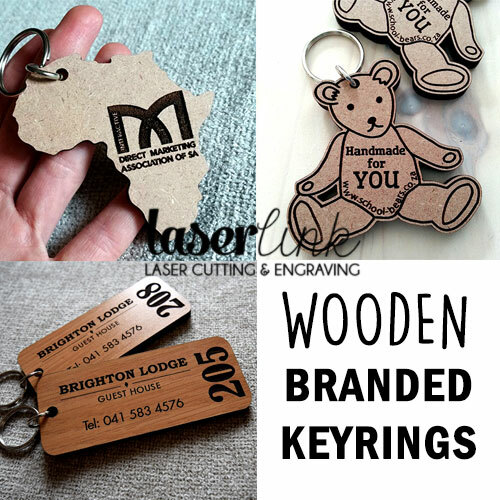 Branded Wooden Keyrings. 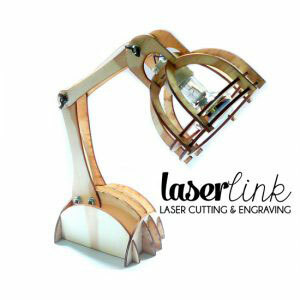 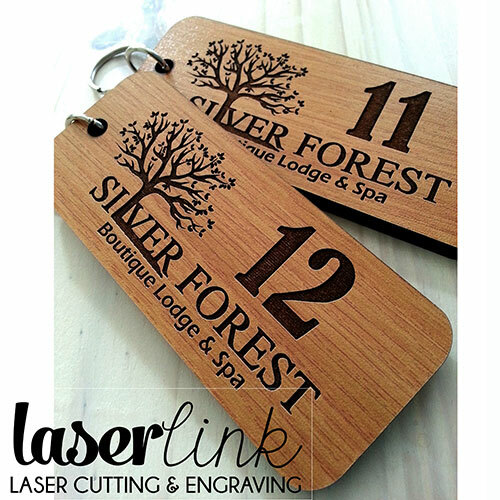 Your logo & company details engraved. 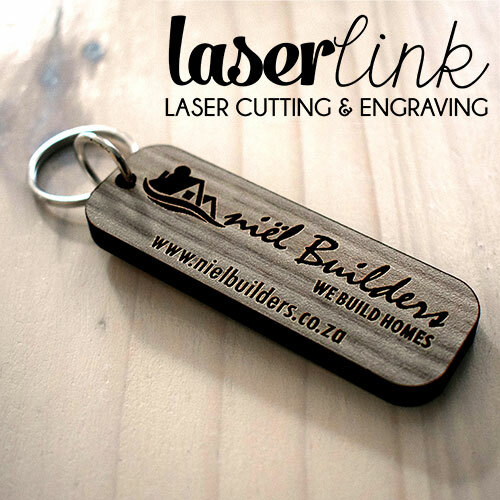 We will design it according to your specifications! 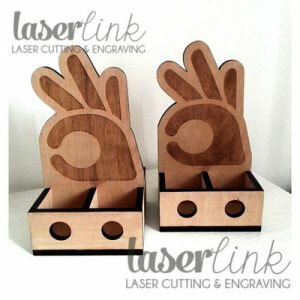 Your designs with be sent you for approval before any production starts! 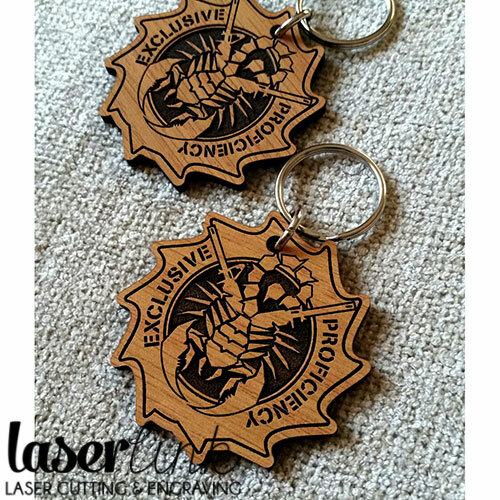 Discounts on BULK orders! 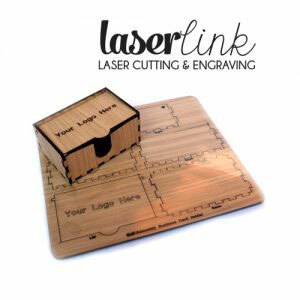 Country wide courier delivery available! 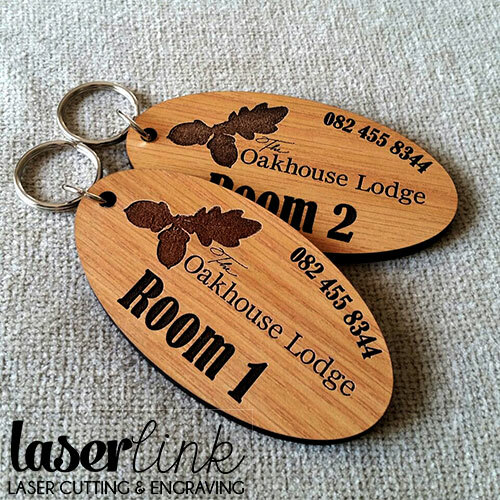 We make branded wooden keyrings for companies, lodges and events. 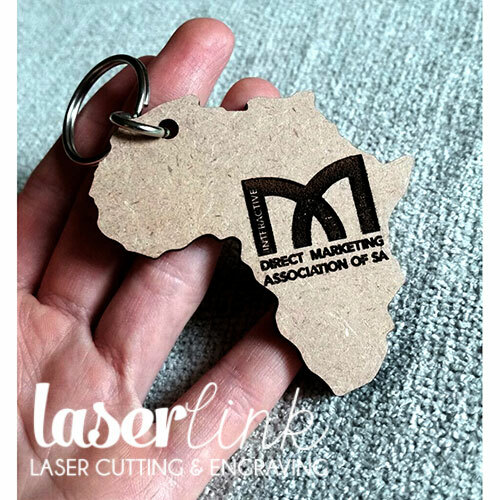 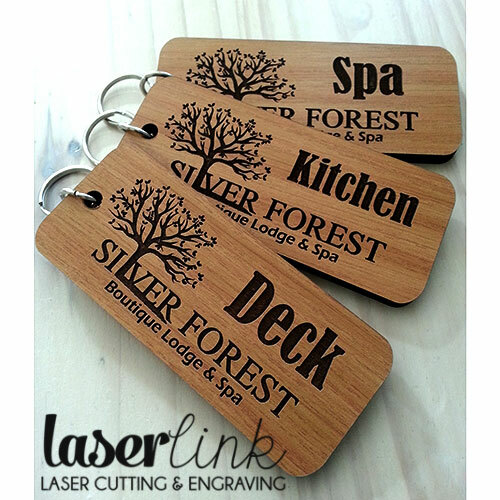 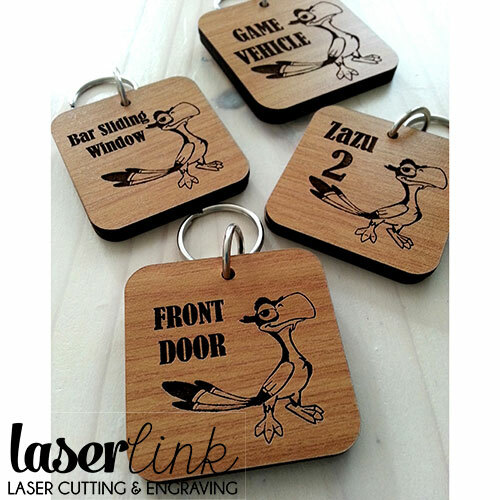 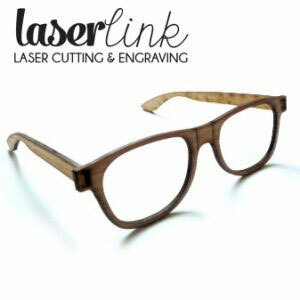 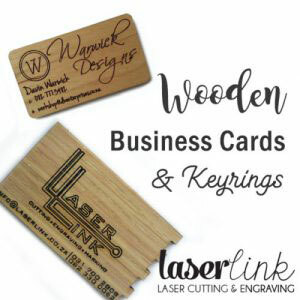 We specialize in the making of wooden keyrings that are laser cut and laser engraved with your logo and contact details. 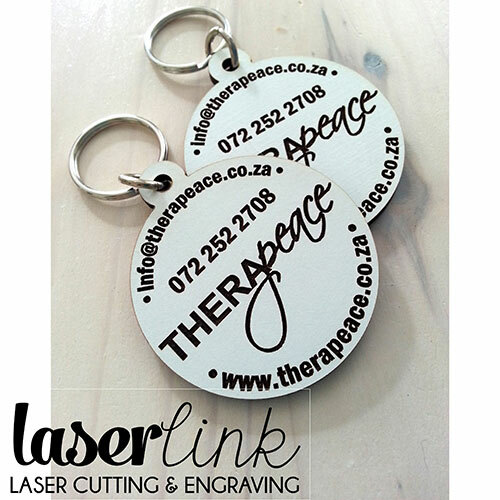 Your keyrings will be custom made to suit your company requirements. 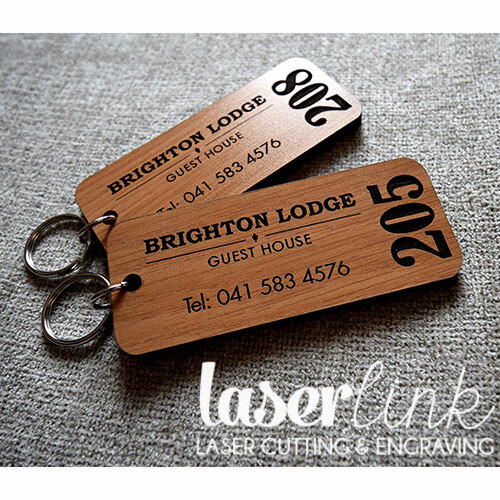 Our keyrings can also be made suitable for B&B’s and Game Lodges with each keyring engraved with the lodge’s logo with room number or room name. 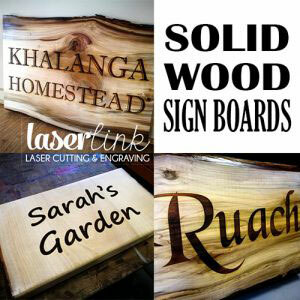 We also have different colours and types of wood to choose from. 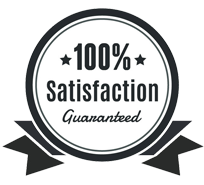 We also offer country wide courier delivery to all our customers. 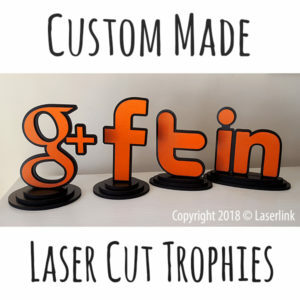 All orders can be placed via email. 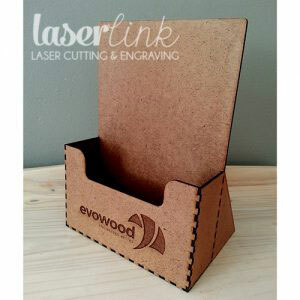 Please email your requirements to us and please include the images required for branding. 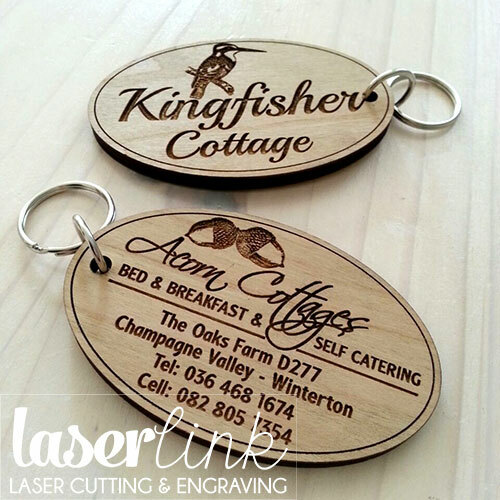 Our branded keyrings can be cut to any shape and the size can be adjusted. 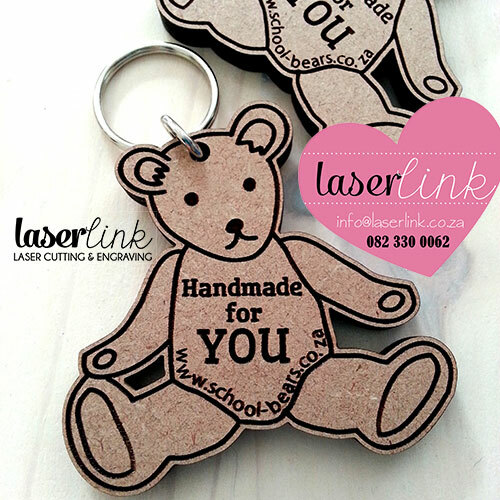 We will design your keyrings for you once the quote has been accepted. 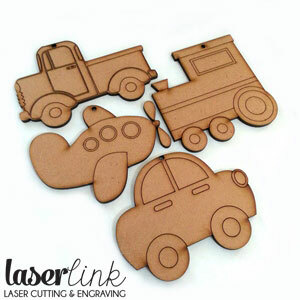 All designs are sent to our customers for approval before production starts. 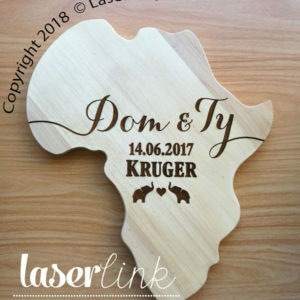 Please view our gallery below for photos of our work. 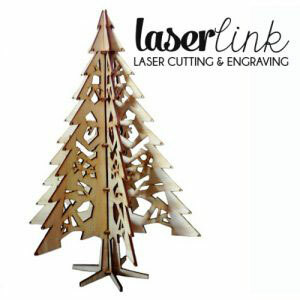 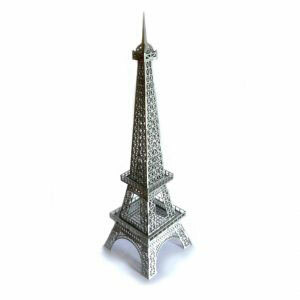 Laser Cut Wooden Eiffel T..
Laser Cut Craft Items for..